Innovative gate design uses two magnetic arms in the gate and a steel insert in the nose for super-secure, interference-free closure. Pear shape increases friction up to 30% when lowering or rappelling with an ATC. Munter hitch compatible on ropes up to 9.4 mm. Video shows how the Black Diamond carabiners are made. 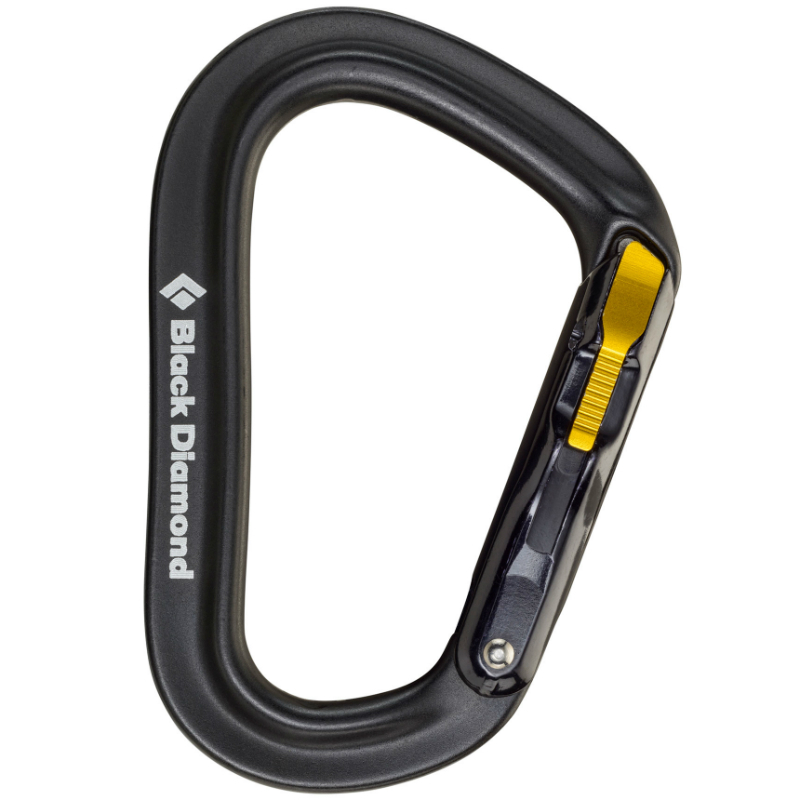 Although I still often prefer a simple screw-gate carabiner for most uses, Black Diamond’s Magnetron technology represents a potential paradigm shift in how engineers think about designing locking carabiners. 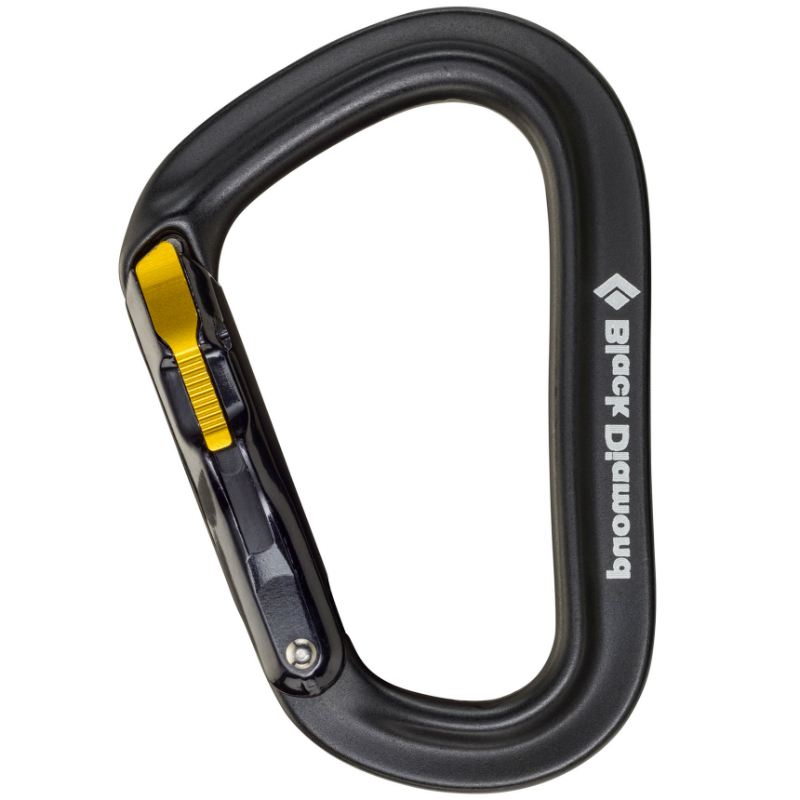 Although it is significantly more expensive than other locking carabiners on the market (to the tune of 25-50% more), I think the cost is worth it if you are looking for a lightweight, reliable auto-locker that performs well in alpine conditions. For uses like my personal tether, the VaporLock is now my auto-locker of choice. Auto-locking carabiners ensure that the gate is always locked, and for that reason are simply more secure than lockers that need a human to lock them closed. For anyone who needs or wants the most secure type of locking carabiner, we recommend the Black Diamond Vaporlock Magnetron as the best auto-locker available. Not only does it do its intended purpose, but is also lightweight and affordable in comparison to the competition. For the past couple of months Vertical Life has been out and about using Black Diamond’s shiny new RockLock Magnetron locking ‘biner (the only one in the country no less). The Magnetron is BD’s purported paradigm-busting piece of kit that does away with screw and twist-locking mechanisms in favour of magnets as a way of securing the gate of the ‘biner shut. It’s touted as removing the need to make things complicated to make them secure. Wherever we have pulled the Magnetron out, be it at The Arapiles, in The Blueys, at The gym or around a campfire in The Gramps, people’s reactions have always followed the same trajectory: fascination makes way for wariness, which quickly builds into an attempt to identify potential points of failure, which is rendered into a brief – often heated – quasi-scientific discussion that tapers into stoney acceptance accompanied by covetous glances a la Smeagol. I always try to look for what could be improved in the gear I use, maybe the spots where the design team missed something, but in all honesty there wasn’t anything I didn’t like about this carabiner. It’s not too heavy, it’s not too small, it feels good in your hands. The only complaint might be that it costs $13 more than the standard VaporLock ($27.95 versus $14.95), but since you’ll likely only want a couple, I don’t think that’s too big of a deal. Also, I never had a problem with the gate binding with dirt and grime, though I’ve heard it can be an issue with snow and ice. How to use Carabiners and Quickdraws, warnings, inspection, care and maintenence with instructional pictures.